LIS generalist vs. specialist – which is best for you? 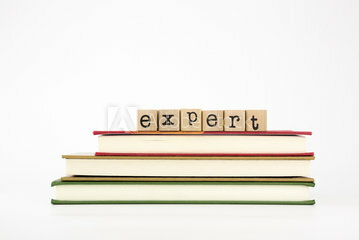 One of the questions most frequently asked by students is whether to specialize in a specific area (say cataloging or government documents) or graduate as a generalist, someone who has a broad range of skills but is not an expert in any. Ask five seasoned practitioners for their advice here, and you’re likely to get five well-reasoned, passionate, and completely different answers. The reason is, there are benefits and disadvantages to both approaches. Being a generalist means you can easily transfer your skills from one environment to another, and you can pursue many avenues of intellectual curiosity that can be woven into your generalist knowledge base. You tend not to worry too much about your expertise becoming obsolete because its general nature means that it isn’t tied to a specific process, technology, or market. On the other hand, you never feel like you know enough. Since you tend to know a requisite amount about a lot of things, you never feel like you know anything in any depth. Keeping current in your field is a constant challenge, because often your “field” covers everything from LIS issues to research tools to business trends to international developments and beyond. When hanging out with LIS colleagues who have specialized in some area, you spend a lot of time feeling clueless, trying not to let on that you have no idea what all those acronyms they’re throwing around really mean. Being a specialist in any of the various LIS disciplines brings the opposite challenges and rewards. Your skills don’t travel as easily, but there are fewer people who can do what you do, so less competition for available jobs. The more tied to a specific process, technology, or market your skills are, however, the greater the likelihood that they may become obsolete during your professional lifetime. You may find yourself going through a challenging learning curve at some point as you transition your core skill to a new technology platform, or move into a related but new LIS discipline to stay professionally viable. Depending on the professional area, specialists tend to be paid more (especially those in technology fields or at strategy levels). Also, you have the luxury of exploring in depth a single topic, with all its ramifications, applications, and emerging issues. You get the ego boost of being an expert in something, and have a built-in community of colleagues who share your passion (or understand your fixation). Basically, I never had one passion that I felt compelled to pursue to the exclusion of all the other things I wanted to explore. Some might suggest a variation of “shiny object syndrome” here, i.e., I’m easily distracted by the next cool new thing. And to some degree that’s true – I’ve always been a pushover for the next cool project or opportunity. But I also liked the freedom of wandering into unexpected new paths and seeing where they led, and then following to see where I ended up. Over the course of a career, however, something interesting may happen to generalists as they wander – they may serendipitously discover a passion of which they’d been previously unaware. That’s how I’ve ended up now beginning to focus more strongly on LIS career issues – it’s simply fascinating to me to learn about what people do with their LIS knowledge, and how they’ve done that. There are other “verticals” within which you might want to choose to specialize, of course, but this type of category thinking should help you figure out how to start narrowing down your choices. And as you do so, be sure to complete your “due diligence” to scope out whether the area within which you’re hoping to specialize is expanding or contracting – you definitely want to embrace the former and avoid the latter.